Wed., Jan. 17, 2018, 6:49 p.m.
Trevor Ariza said nothing happened. The NBA strongly disagreed. 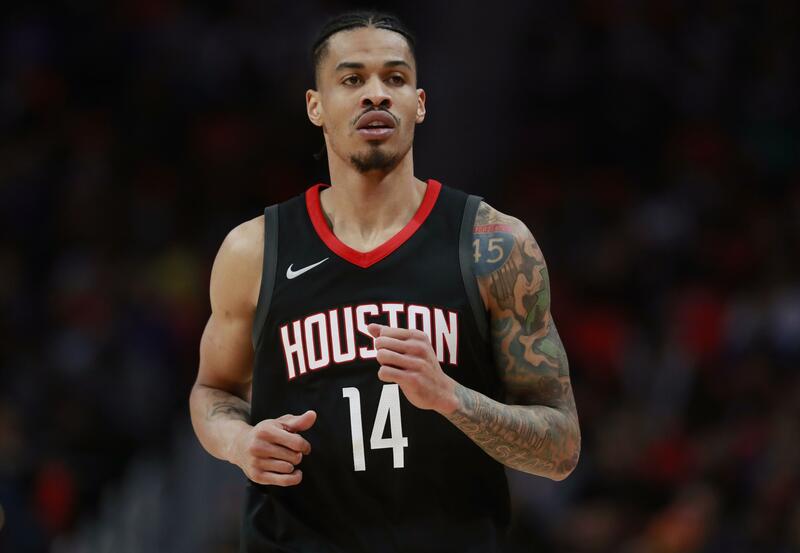 Ariza and Gerald Green will both be suspended for Houston’s next two games, with the NBA coming down hard on both Wednesday for what the league said was their “hostile, verbal altercation” with several players in the Los Angeles Clippers’ locker room earlier this week. No other players were disciplined, including Rockets guards James Harden and Chris Paul – both of whom left the Houston locker room with hopes of defusing the situation, the league said. The NBA said that Ariza and Green went into the Clippers’ locker room to confront a Los Angeles player. The NBA didn’t reveal specifics of what went on in the locker room, and didn’t disclose the name of the player that Ariza and Green wanted to confront. The final minutes of the game – which was Paul’s first time facing the Clippers in Los Angeles as an opponent since the trade that sent him to Houston over the summer – were marred by some on-court feistiness, including the Clippers’ Blake Griffin appearing to exchange words with Rockets coach Mike D’Antoni. Griffin and Ariza were also ejected with 1:03 remaining from a game that had five technical fouls, and then the postgame incident. Speaking before his team played Denver on Wednesday night, and after the suspensions were announced, Clippers coach Doc Rivers said that his team never had any concern that Griffin would be facing any discipline from the league. Griffin spoke to the league Tuesday as part of its investigation. Ariza and Green will miss games against two of the best teams in the Western Conference – Minnesota on Thursday and Golden State on Saturday. Ariza has started all 40 of his appearances with Houston this season, and Green has played in 10 games with the team as a reserve. The league said the investigation included more than 20 interviews with executives, staff, coaches and players from both teams, as well as arena personnel. AP Sports Writer Beth Harris in Los Angeles, and Associated Press writers Joshua Koch in Houston and Jill Painter Lopez in Los Angeles contributed to this report. Published: Jan. 17, 2018, 6:49 p.m.